There’s another cap in Destiny 2 set to limit the amount of resources you can gain by farming, and like the old XP scaling system it’s not exactly presented in the most transparent way. 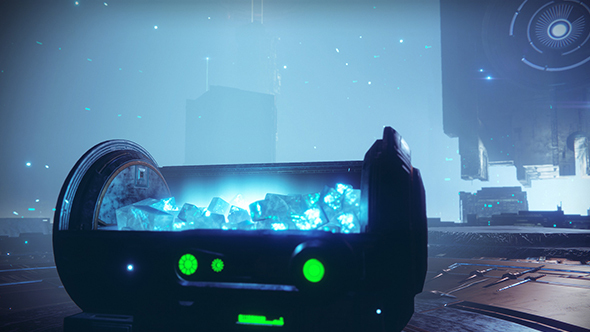 There’s a limit to how much glimmer you can earn at a time, which can leave you facing hordes of enemies without the in-game currency reward you might expect. But before you grab your pitchfork, bear in mind that this same cap was in place for the first Destiny. Still struggling with the game’s latest challenge? Here’s our Destiny 2 Eater of Worlds raid lair guide. Some (admittedly unscientific) testing on Reddit revealed that the earning cap still exists. After you’ve earned around 400 glimmer from killing enemies, the currency stops dropping. Wait a while and you can start earning again, but with a slightly smaller cap. This limit was put in place during the first game to prevent players from farming glimmer off of particular story missions, which would happen often back it was used to buy Iron Banner gear. In Destiny 2 most gear costs legendary shards, but glimmer is still used to acquire mods, and to apply both them and shaders. This makes it pretty important, but most regular players seem to have little trouble earning it in abundance anyway. Nevertheless, consider this your PSA, PC Destiny players: don’t be surprised if your attempts to farm glimmer only result in small harvests. For better or worse, it’s been that way for a long time.